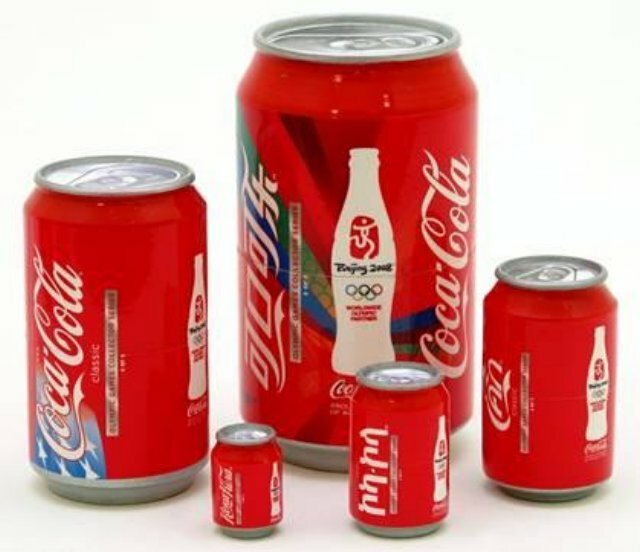 These nesting Coca-Cola cans were made by Golden Cockerel and commissioned by Coca-Cola for the 2008 Summer Olympics. Each set has five nesting Coke cans, the largest standing at 5” tall. “Coca-Cola” is written in a different language on each can: Chinese, English, Thai, Ethiopian, and Russian.